I was born and raised mostly on the south coast in Hampshire with a few years spent living in Paris. I moved to London to study history of art at UCL and have been here ever since. I’m a design editor and consultant. I’m currently finishing work on a book about contemporary ceramics called “New Wave Clay”. The architecture. I went to school in Portsmouth. Like this part of London, a lot of the city had been bombed during the war and then rebuilt in the 1960s. Some of it was done very badly, but there was one stunning mixed-use building called the Tricorn that we’d drive past every day to get to school. It was designed by Owen Luder and Rodney Gordon and was my first taste of Brutalism. The Barbican appealed in a weirdly nostalgic way to the schoolboy in me. 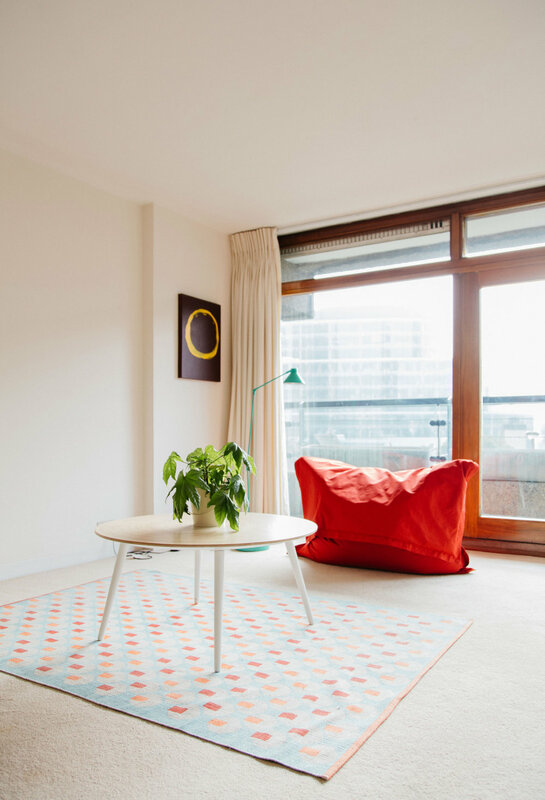 Your favourite feature of Barbican flats? In my flat: the vaulted ceiling, light, view and laboratory-style grid tiling in the bathroom. More generally, they’re all incredibly well proportioned and almost silent. It’s like living in the countryside sometimes with the sound of tennis being played downstairs, church bells and squirrels running around on the balcony. I love the library, the local pub on Whitecross Street and the mix of people who live here too. Are there any downsides to the Barbican? Getting Deliveroo to find your front door is always a nightmare. 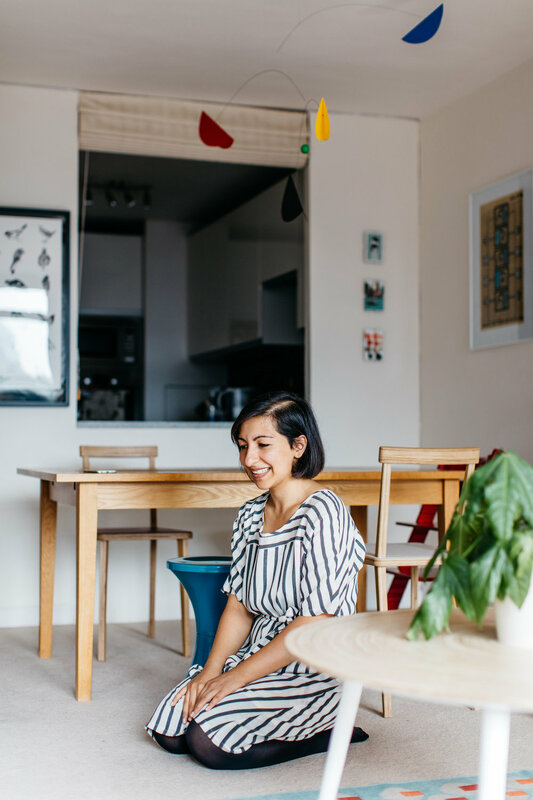 Aisha: I was born in Edinburgh, Scotland and lived there until my mid twenties. It was a childhood ambition to live in London and I’m happy call it home for the past 10 years. Ezo: Born in Derby during a brief stay. Back to London till I was 3. Off to the UAE. Then a stint in Eastern Europe. Edinburgh for Uni plus work. And, finally back to London for the past 10 years. Ada: Ada is from London and has lived in the Barbican since she was born! Aisha: I’m a designer and entrepreneur. 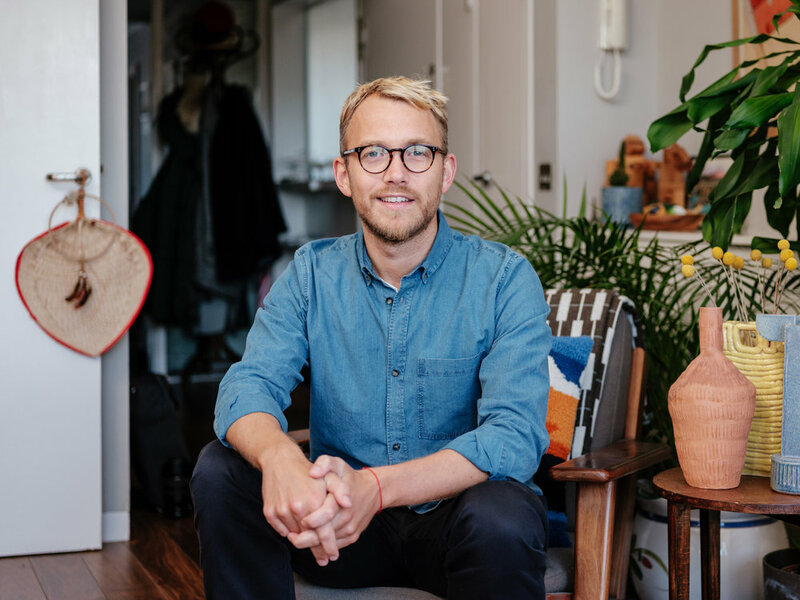 I initially moved to London to pursue a masters at Central St Martins and on completing that I have founded a couple of companies, worked as a freelancer and am in the early stages of launching a new company. Ezo: I write a lot of code for a living. I’ve bankrupted 2 of my own (awesome) startups. Now, I consult on mobile development while figuring out my next venture. Ada: I have patrons who support my creative and experimental endeavours of playing, drawing, building and dancing! We purged and packed our belongings to travel for a couple of years and on our return we decided to flat hunt in central London. 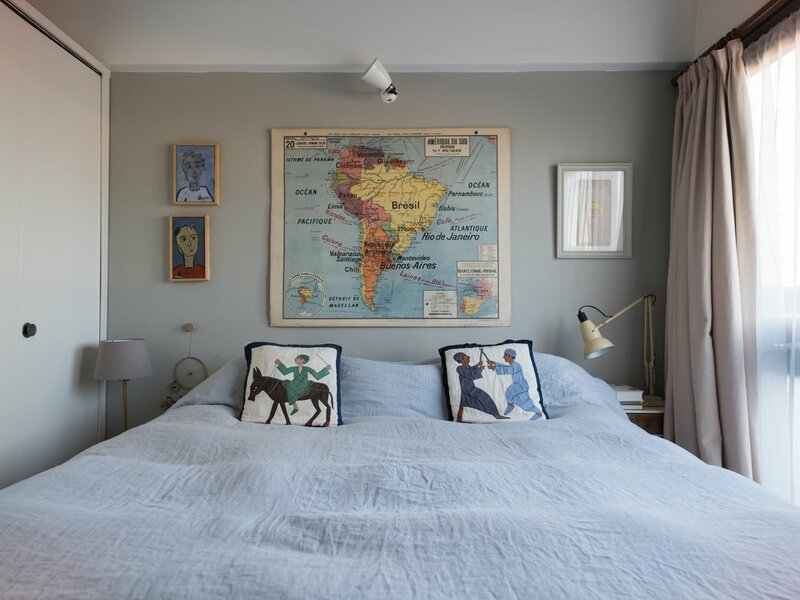 Although we weren’t specifically looking to live in the Barbican we fell in love with this flat at first sight. It was in the right location and fulfilled our most important criteria; big windows and lots of daylight. We knew the area fairly well having worked nearby in the past and from frequenting the Barbican Arts Centre. We have been in the same flat in the Barbican for 5 years. It’s the longest we’ve lived anywhere! The large windows make the top of the list of our favourite feature. They flood the flat with natural daylight, offer great views and slide open so wide that it feels as if we brought a bit of the outside into our home. We love it and it’s the most we’ve ever felt at ‘home’ anywhere. We’ve been very lucky to have a wonderful landlady who we have a good relationship with. However, the thing that is really unique about living in the Barbican Estate is the experience beyond it’s impressive architecture. We have friendly neighbours, a beautiful garden for Ada to run around in with other young residents, a shop that stocks delicious local produce and a super library in the Barbican Centre. It is an ideal place to raise a child and that is something that we only appreciated after living here. The location is really convenient and we get around using our favourite method of transport - our feet!.